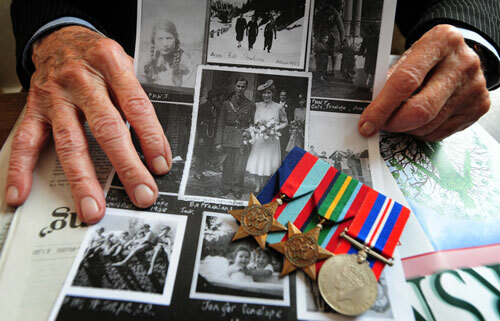 The Big Lottery Fund today announces its latest round of funding made through Heroes Return 2, which enables veterans to embark on poignant visits back to the places where they saw action almost 70 years ago. John Wotherspoon, 88, from Bonnybridge in Stirlingshire, made a special trip back to the beaches of Normandy in June this year. 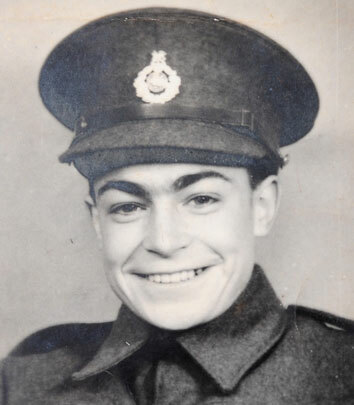 Thomas served in the 15th Division of the Scottish Royal Engineers and landed in France two weeks after the D Day Landings on June, 20 1944. Rose Gallagher, from Troon is going to South Africa in January next year. Rose said, “My husband, Thomas, was in the Royal Air Force and spent over three years of the war there training pilots. He died in 1992 but he used to talk about the place a lot. He loved the country but unfortunately he never got the chance to go back. John and Rose are amongst six Scottish Second World War veterans who will be making poignant commemorative visits as part of the Big Lottery Fund’s Heroes Return 2 programme. Big Lottery Fund Scotland Chair, Maureen McGinn, said, “We are extremely proud to support veterans and their families to reflect on their experiences of the Second World War. The heroism of that time should never be forgotten and the stories we hear from those who served with such distinction are testament to that. “Earlier this year the Big Lottery Fund extended the programme to enable veterans to apply for funding to make second trips. In this way, Lottery funding continues to assist these modest heroes and their families join up with their comrades and revisit the places where they demonstrated such dedication and bravery. John Field crouched in the packed hold of the converted allied troop ship RMS Maloja as it slipped through the deadly U-Boat killing grounds of the North Atlantic. Billeted deep below the water line John knew that he and his comrades would never survive a dreaded torpedo attack. Terrified to sleep he began to pray, a desperate act that would bring a calm and lasting spiritual courage to the 20-year old Royal Marine armourer in the dark days to come. John, now 92, is one of many World War II veterans who are applying for funding for a second commemorative trip under the Big Lottery Fund’s extended Heroes Return 2 programme, which since 2009 has awarded over £25 million to more than 52,000 Second World War veterans, widows, spouses and carers across the country for journeys in the UK, France, Germany, the Middle East, Far East and beyond. In 1941, as Britain waited under the threat of a German invasion, 19 year-old Cambridge lad John Field was earning his stripes as an apprentice locksmith. 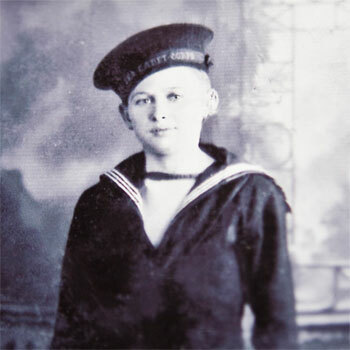 Upon reaching his 20th birthday John joined up with the Royal Navy, and underwent training as an Armourer, gun fitter. A year later John set sail on troop ship RMS Maloja bound for the Middle East via the Cape Route, stopping at Sierra Leone, Durban and arriving in Suez. 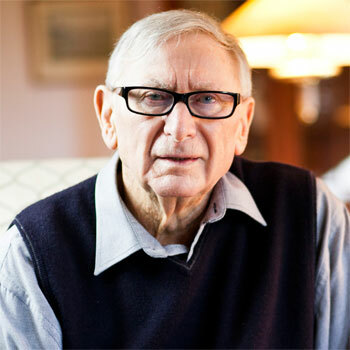 He recalls: “We went the long way round to try and avoid the U- Boats but got chased by some on our route towards Iceland. Troop quarters were well below the ship’s waterline and I was absolutely terrified as we wouldn’t be able to get out if a torpedo hit us. I couldn’t sleep. I wouldn’t even get into my hammock or take my shoes off. In early July 1943 John set sail from Port Said to Sicily on SS Bergensfjord in preparation for the Invasion of Sicily, codenamed ‘Operation Husky’. The mission was to launch a large scale amphibious and airborne attack that would drive the Axis air, land and naval forces from the island; a move that would open up the Mediterranean sea lanes and pave the way for the invasion of the Italian mainland. John was assigned to the Royal Marine Naval Base Defence Organisation, (RM NBDO) responsible for the capture and maintenance of enemy gun defences. The next day John and his comrades set off marching towards the port of Syracuse. 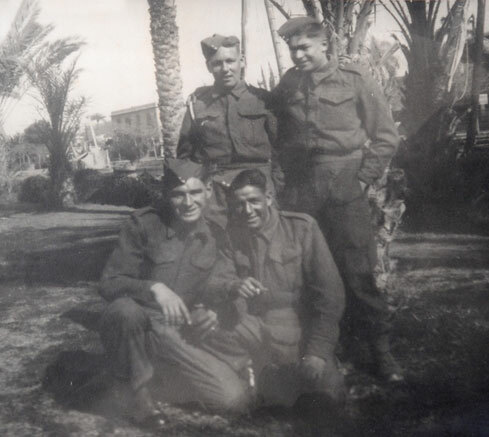 He recalls; “Our rations were biscuits and dry foods, anything that was light to carry. There was an incident about water and an officer told us not to drink from the springs. When we arrived just south of Syracuse we went up onto a headland. There was a lighthouse and a scattering of guns. The RM NBDO was then deployed to repair guns across the island. On one occasion John found himself in the middle of a ferocious battle for the capture of the Primosole Bridge across the Simeto River, a move that would give the Eighth Army vital access for an allied advance across the Catania plain, driving enemy forces back toward the Italian mainland. After Sicily, John came down with jaundice and was sent to Scotland on sick leave. Once recovered, he was involved in the testing of Landing Ship Docks in the Mediterranean, before being posted back to Suez. In 1945 he was sent out to India and the Far East as part of Operation Zipper. 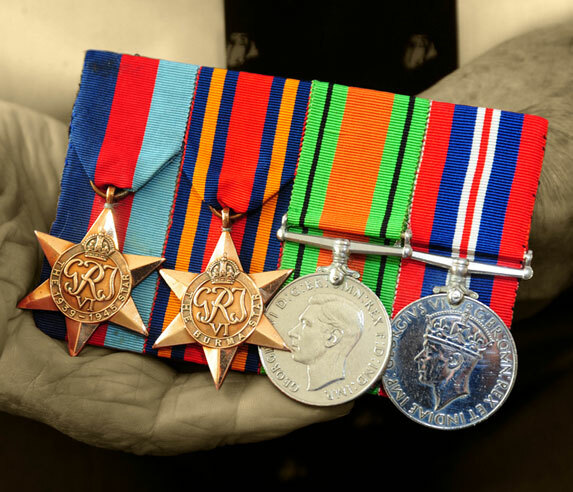 However, after the final surrender John was posted to Singapore where he spent his final months of the war as a dockyard policeman before finally arriving back home in England in early 1946. Five years after the war John travelled back to India to live and work as a missionary for over 20 years. 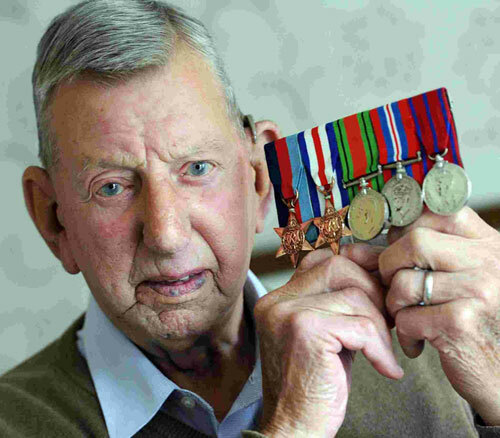 A Merchant Navy veteran is urging others to apply for funding from the Big Lottery Fund’s Heroes Return 2 programme. Derek Vickers, 85 from Leeds, went on a Heroes Return visit to Italy last September, to revisit the country he first saw during his time with the Merchant Navy. 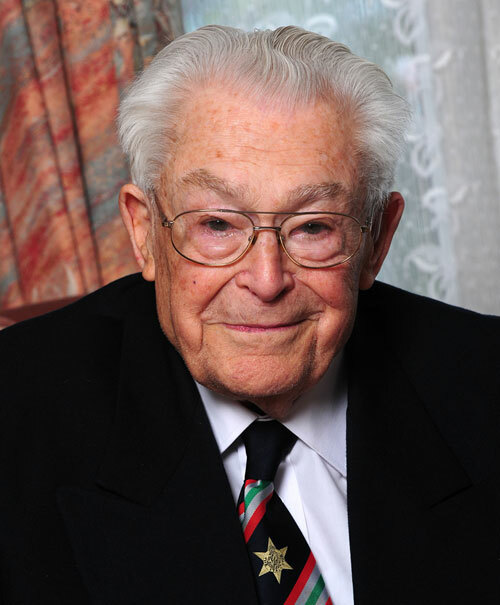 He joined up in 1943 when he was aged just 16. 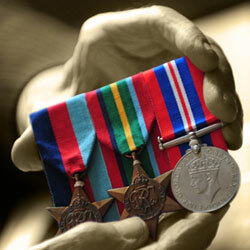 He said: “I was in the sea cadets and the Merchant Navy had lost a lot of men and were asking for volunteers. My first ship was a cargo ship, SS Cape Wrath – a commandeered Tate and Lyle ship. “We sailed north to Scotland and joined a convoy off Oban and from there sailed out into the north Atlantic and down towards Italy. We had a large aircraft carrier with us and carrier escorts. It was huge – I don’t remember the number but it was around 40 ships. “We had vehicles on the deck which made the ship top heavy. It was January 1944 and the weather was really rough and she rolled around a lot – it was a tough journey. “As we got near to France we were attacked by air and had a couple of submarine warnings. I remember hearing explosions during the night and I think we lost a couple of ships. We were called to action stations and it was my job to back the gunners up as an ammunition carrier. “They opened fire all over the place – it was very noisy with all ships firing. The planes took off from the carrier and helped to drive the enemy aircraft away. “At Gibraltar the convoy split – we went to Tunis. On the way out of Tunis the ship in front of us hit a mine and had to turn back. We went on to Cagliari, Sardinia where there had been heavy bombing. “We dropped off the cargo and I can remember the smell – there were a lot of bodies under the rubble. It was really traumatic and that memory lingered with me for years. Derek visited Monte Cassino, Salerno and Anzio on a Heroes Return visit last September.